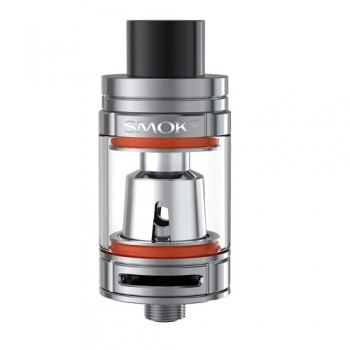 Muscling in with yet another heavyweight Sub-Ohm creation is Smok with a small, compact tank that packs a big punch. The TFV8 Baby Beast Sub-Ohm Tank is the baby brother of the already well established monster TFV8, released earlier this year and believe us, this latest addition to the family certainly lives up to its big brother name and reputation. 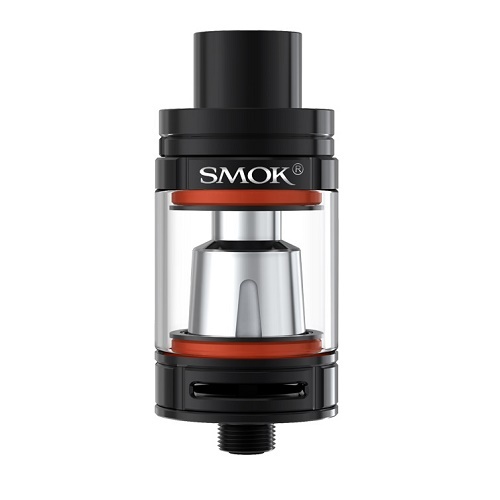 Smok pride themselves in being the pioneers of cutting edge products and the Smok TFV8 Baby Beast is testament to the brand. With a 3ml capacity and unique side hinge top fill system this baby is easy to fill and it comes with a delrin drip tip to keep your lips nice and cool when vaping. Pre-installed is the Q2 dual 0.4 ohm coil that delivers rich sumptuous flavour and billowing clouds to satisfy any cloud chasers dreams. It also has a T8 Octuplet 0.15 ohm coil, for an even more adventurous, enhanced vaping experience. An added bonus for this is the option of an awesome two post RBA deck, (not inc), that gives you the ability of putting your own specific builds in, to accommodate your vaping method exactly how you like it. Maybe you fancy some nice dual clapton's or a simple single coil build, it wont matter, cause whatever you choose you will be blown away by the sheer performance of this fantastic, sleek little tank. Definitely a tank to be proud of adding to your collection this year. It maybe a baby, but it vapes like a beast ! !